The newly constructed Painted Hills Middle School in Desert Hot Springs, California is the first middle school to be built in the Palm Springs Unified School District in 17 years, so the District wanted to ensure that construction, including the school’s AV system, was perfectly executed. 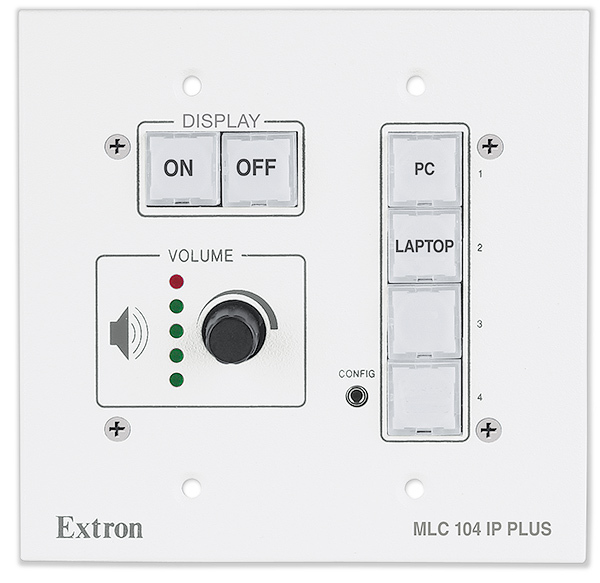 Using Extron PoleVault Systems, we were able to install a simple-touse, push button control panel at the teachers’ fingertips. The Extron PoleVault AV switching and control system for ceiling mounted projectors was chosen for the general and science classrooms as well as the band, choir, drama, and conference rooms. PoleVault securely mounts and conceals the switcher and integrated audio amplifier above the projector. Having the projector and AV components mounted to the ceiling discourages theft and tampering. Both PoleVault and WallVault work with Extron patented Flat Field® speakers, creating consistent sound levels throughout the classroom. 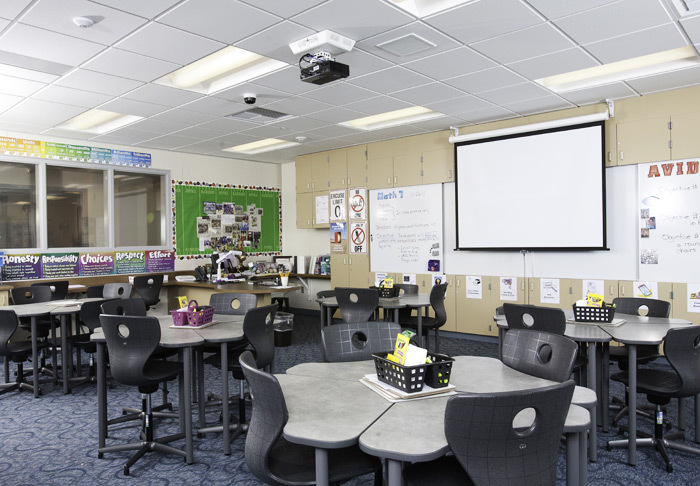 Extron’s Voicelift microphone was included with both Polevault and Wallvault systems to help evenly distribute the teacher’s voice throughout the room. Studies show that significant gains in student achievement and teacher effectiveness can be made by simply ensuring that the teacher can be heard. “The Voicelift system fills the classroom with the teacher’s voice,” remakes Carr. In addition, teachers are able to spend the day speaking at a natural level, which significantly reduces voice strain and vocal fatigue.